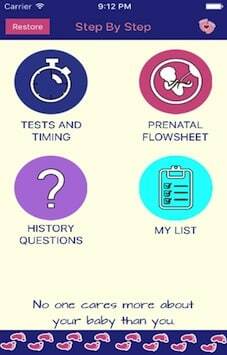 App has a list of all the standard prenatal tests & sonograms for the whole pregnancy. All standard tests and sonograms are arranged in weeks pattern. 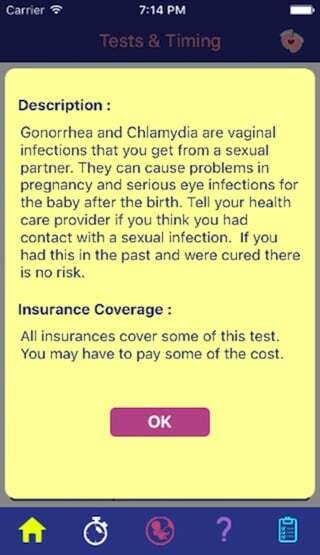 User can read about tests in the app. 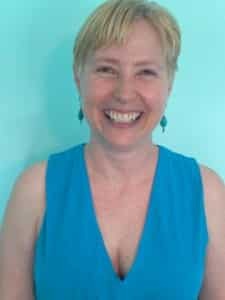 User can keep in touch with their partner and family through Social Media i.e. Facebook, Twitter and messaging. 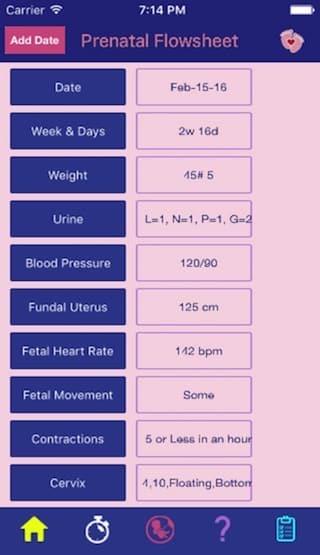 User can access flow sheet to track vital signs during the pregnancy. User can email the test list to friends and other doctors. User can access My List, a place to keep all your questions for next doctor visit. 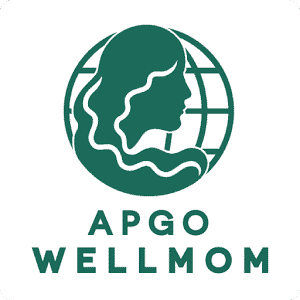 App is available in English and Spanish Version. When client came us, she had no idea about the app design and development process. We educated client regarding the process, created detailed requirement and design to fulfill the vision. Client was astonished to see how good the design had come out. Client wanted a way for users to record all the pregnancy visits, test results and data in the app. We proposed to build the week by week flowsheet. The flowsheet is very intuitive for users and they can easily update the data. 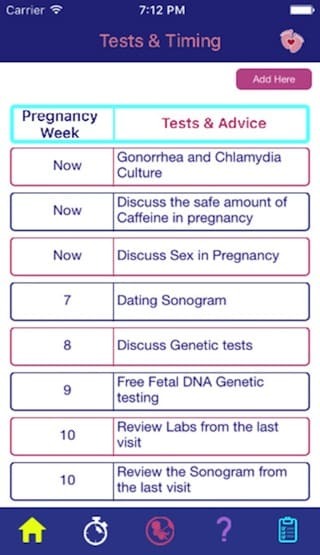 Step by Step Pregnancy app has Tests & Sonograms, Flowsheet, Vital Sign Tracking Email and Social Media capabilities.